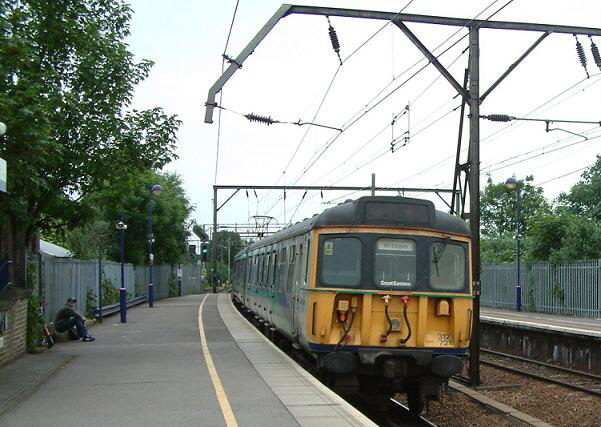 The Class 312 was introduced in 1975 for suburban services out of Kings Cross and in the Birmingham area. They were an updated version of the 310 with wraparound windows and 90 MPH running plus they could work in multiple with Class 310’s but they were restricted to 75MPH running when doing so. The entire fleet of the class were working with Great Eastern by 1989 although during the 90’s some of the class moved to East Ham to work on the London Tilbury and Southend division. The final 312’s were withdrawn in 2004 and were replaced by Class 321 units to cover the Liverpool Street to Witham route. The type was stored at Pigs Bay (Shoeburyness) and are currently in the process of moving to Caerwent for scrapping.